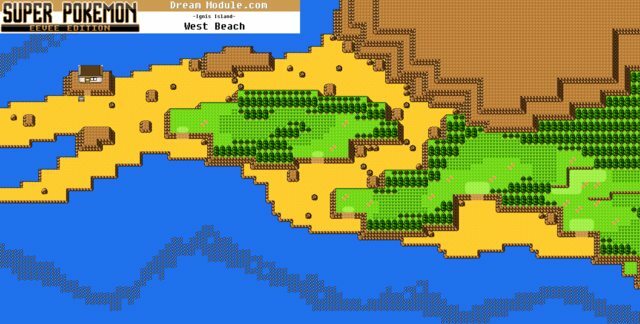 This new map is a unique beach-like terrain, on the west side of Ignis Island, where pokemon like Krabby, and Tropius are found. In addition to that, a special person named the "Surf Master" lives here. After spending a lot of the last year doing mainly background systems work, it's nice to get back into mapping. Beach locales are a little hard to do, since you want it to appear natural, but you also want there to be tall grass for wild pokemon to be, so I had to look for a bit of balance. I quite like the end result, it feels and looks a lot different than other maps, the mixture of yellow, blue, brown and green is strangely pleasing.